Dr. Elvebak loves orthodontics! He cares about his patients and is passionate about achieving great results. He also enjoys getting to know each of his patients and watching their transformation during the orthodontic process. His goal is to create a warm, friendly, and comfortable atmosphere so each patient can enjoy visiting the office. 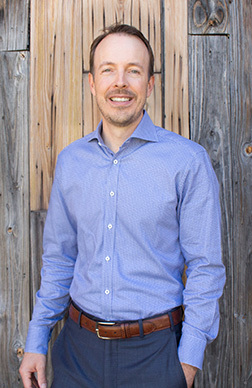 Dr. Elvebak grew up in Amarillo and completed his undergraduate education at the University of Texas at Austin. After college, he entered dental school at Baylor College of Dentistry in Dallas. While at Baylor, Dr. Elvebak was involved in several research projects and service organizations. He graduated second in his class of 86 students and scored one of the highest scores in the nation on the national board exam. After dental school, Dr. Elvebak began his residency in the Department of Orthodontics at Baylor, widely known as one of the top orthodontic residencies in the world. During his 27 months there, he was involved in research and teaching and earned a master’s degree in oral biology. Upon completion of his orthodontic residency, Dr. Elvebak entered private practice in the Dallas and Plano areas. Dr. Elvebak is married and has two daughters. He enjoys spending time with his family, outdoor activities, and traveling. When you’re ready to help your child take the next step toward orthodontic treatment, please contact our Dallas or Plano orthodontic office.